The Champion Who Conquered the Ring and the School Business! Back in the 1970s and ‘80s, legendary fighter Jeff Smith pulled off a dual goal unprecedented back then and extremely rare even today. He became a world kickboxing champion while simultaneously mastering the martial arts school business! Furthermore, he pioneered savvy business techniques still practiced by current school owners. Read Smith’s extraordinary story and prepare to come away inspired! In the early 1960s, when Americans were first meeting the Beatles, Jhoon Rhee, the “Father of American Taekwondo,” owned four schools in Washington, D.C., Virginia and Maryland. He also regularly traveled around the country to a dozen taekwondo clubs, where he tested students trained by some of his black belts. One such club was located in Kingsville at Texas A&M University, where teenaged Jeff Smith’s mother worked and Jeff delivered daily newspapers. The college men were not pleased to have young Jeff and a few other kids training among them. Today, given the legend of seven-time world light-heavyweight champion Jeff Smith, it’s no surprise to hear he not only survived the sparring but thrived on it. Later, as a brown belt, Smith became head instructor there and ran the club for two more years after his 1968 black belt exam. He was also busy making a name for himself competing in those hard-hitting early tournaments in Texas, Oklahoma and Louisiana. In 1970, Jhoon Rhee invited Jeff to Washington to teach at one of his schools. Smith also enrolled at a local D.C. college to put the finishing touches on his business degree from Texas A&M. He was entering history, along with Allen Steen and Pat Burleson, as one of the trio of original Rhee protégés who helped establish teaching martial arts as a proud American profession. It became a standing joke in the Rhee organization that no chore was too small for Smith to eagerly take on, to gain experience from. As a university business major, he began to see new ways to make more money, too. For example, having a Masters Club, not just a Black Belt Club, meant the new black belts stayed involved in the school as paying members and continued their training. Meanwhile, Smith’s passion for competition meant engaging in 1970's point-fighting every single weekend. By 1974, Professional Karate magazine voted Jeff Smith America’s number-one point fighter. Having conquered that world, Smith moved onto the then brand-new, much more demanding martial sport of American kickboxing (a.k.a. “full-contact karate.). In September 1974, in the new sport’s inaugural event, he won the first Professional Karate Association (PKA) World Light-Heavyweight kickboxing title, later broadcast on ABC-TV’s Wide World of Entertainment. Like he did in his competition endeavors, Jeff Smith quickly soared to the top of his business/management career, too. “At first, I was hired as an instructor by Grandmaster Rhee,” he explains. “Then, I became Program Director, then Office Manager, then Head Instructor teaching the other instructors. Finally, as General Manager, I taught the other school managers. Nick Cokinos [the Educational Funding company founder] helped Grandmaster Rhee initiate the [business] systems, although they had a falling out a few years later. At that early era in our industry, the vast majority of martial arts schools were run haphazardly. Business-training organizations like the Martial Arts Industry Association didn’t exist. Teaching methods were harsh and unsophisticated. Most instructors just taught classes the rugged old-school way their own tough instructors had taught them. It was a recipe for failure. This was also true of the many point-fighting and kickboxing champions of that time. A large number of them opened schools based on a false premise. They believed that their names and champion statuses would automatically draw students. they didn’t. Although they were famous in martial arts circles, they were unknown among the general public. Sadly, but understandably, most of the schools run by these champions soon went out of business. Most of them eventually either taught classes for other successful school owners or independently taught clinics on the then newly developing national seminar circuit. Meanwhile, Jeff Smith was not only conquering the martial arts school business, but was also creating new innovations of his own design. There was a lack of understanding about marketing, teaching an intro lesson, and keeping students long enough to upgrade. Most owners weren’t looking at the total value of a student who stays active for six years. As Smith saw it, the problem was a matter of retention: Getting students to commit to the rank of black belt and beyond. Jhoon Rhee instituted a rule that, to receive their black belts, kids had to also earn an A or B average in school. “Ninety-five percent of our students earned a patch for the Academic Team. Not every student got one, but, nonetheless, they all were better motivated to study. And the parents were in love with us! What gradually became standard business practices for Smith were groundbreaking policies way ahead of their time: Things like retention cards, callbacks, and a statistic sheet to correlate information. All these were done at a time when few schools even kept averages on enrollment, info calls, number of intros, how many people tested each month, and how many renewed to a higher-level program. Smith eventually hired over 25 instructors out of Jhoon Rhee clubs from all across the country, and they would later open their own schools. There were no franchise fees. They paid only for the use of Jhoon Rhee’s name for belt-testing and diplomas. This helped guarantee they faithfully used the grandmaster’s system. Rhee was sure of this because either he tested their students or he sent Jeff to do it. As the popularity of martial arts training grew in the U.S. and prospective students became more sophisticated, so, too, did the marketing and systems techniques used throughout the Jhoon Rhee schools. “Our two-hour staff sessions were not enough [to keep up with a changing marketplace]. So, I had to do [new business innovations] myself, so that the other school managers could see how to,” Smith explains. “Some did better business than I did. So, the best school for the week was always copied by the rest. Smith likes the old expression, “A rising tide lifts all boats,” because that was exactly what was happening. “We copied each other’s successes,” he points out. “I gave them homework, like studying motivational sales experts’ audiotapes and videos. They rotated weekly, then reported an overview of what they got out of it. I made them read all the motivational books. Just as these group efforts improved everybody’s business, the same strategy of sharing also sharpened their competitiveness. Smith traveled to tournaments with a home-grown team which, in five weight classes, included either a world champion or someone ranked number one nationally, except for heavyweight division. When light-heavyweight Smith switched to kickboxing, the team did, too. When one did better, it made the others redouble their efforts, and they learned from each other. The educational tapes, the implementation of new business systems, and a constant desire to train harder and learn more paid off big time. The cumulative results of sharing a common vision produced excellence at all levels. No other schools nationally were doing better business-wise, and the Rhee Institutes were producing the top fighting and forms competitors. 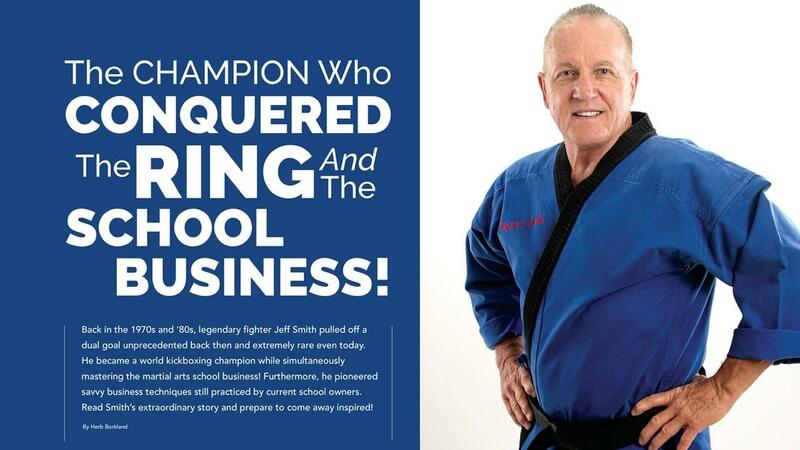 By the late 1980s, Smith was not just a black belt at the school business, he had become a full-blown grandmaster! 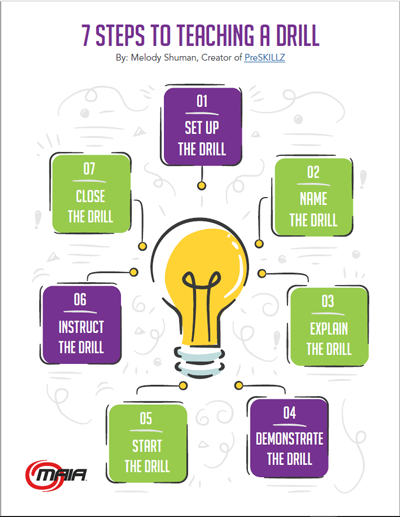 His retention techniques were so polished that his retention ratio at one point soared to a phenomenal 90%, the best in the U.S. Back then, most professional schools were routinely striving for 50%! Even today, with all of our sophisticated and streamlined systems at play, a meager 10% dropout rate is practically impossible to achieve. Further, Smith was also known industrywide as a very savvy money manager. Although he would never admit to it, back then or now, it was widely rumored that he was one of the rare millionaires in our industry. He had built his fortune on profits from his thriving schools and smart financial management. Jeff Smith turned 70 in 2017. He sold his schools some years ago, but says he does continue to train, running and lifting weights, three or four days a week. He now also appears to play just as hard as he used to work, if you’re privy to his multitudinous Facebook posts. He spends some of his spare time as a pitcher on a baseball team and plays tennis and billiards. He takes cross-country jaunts on his Harley motorcycle. He sky dives, bungee jumps, and kayaks through Class Five and Class Six whitewater rapids. So, here in his senior years, he seems to be enjoying the deserved fruits of his lifetime of hard work, long hours and goal-attainment. But it was all invested in doing exactly what he loved! Uniquely, Jeff Smith conquered two worlds, while most mere normal mortals among us are satisfied if they can conquer just one. He is truly the living embodiment of achieving the American Dream.